There is a special place in a gated area of Pennsylvania, a place of peace, relaxation, gourmet food, health, and tranquility. 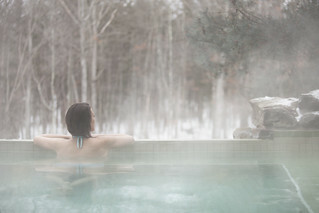 The Lodge at Woodloch is a luxury destination spa. 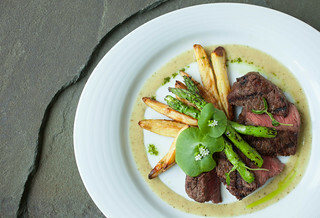 Whether spring, summer, fall or winter, The Lodge at Woodloch offers guests the five-star treatment with a variety of activities both indoors and out. From archery, barbecues, seminars, a full list of diverse classes, and world-class spa treatments. 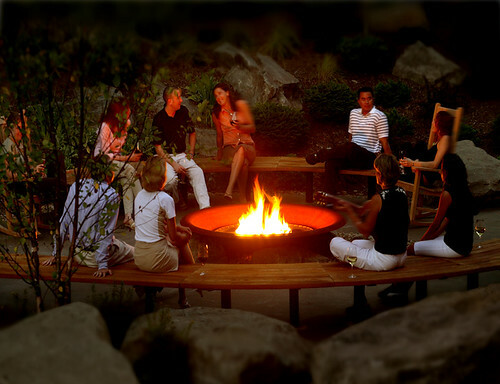 The fire pit is always going at night even in the winter where you are welcomed to make s’mores. And, outdoor hot tub is always open with full time attendants even when it it snowing! I had a chance to visit and I left with an uncanny feeling of calmness, and peace. So if you are stressed out by the 9-to-5 hustle and need a detox, this place is absolutely perfect for you. I was lucky enough to be there during the first snowfall of winter and it couldn’t have been a more perfect setting. The beauty and serenity of the snow-blanketed forest are picturesque. There are hidden lounges with fireplaces, refreshments, and tea bars throughout the lodge, that are perfect for reading, relaxing, or spending time with that special someone. The lodge is a 16 year old+ facility, so no rambunctious children will be around to interfere. This time of year is perfect for partaking in their 27 treatment rooms, including 14 massage rooms, six facial rooms, three wet rooms, two couples’ suites and two treatment combination suites. After your spa treatment you can relax in the Whisper Lounge-a quiet co-ed lounge with fireplace and outdoor woodland porch with rocking chairs and gliders with a beautiful view of the scenery. Or, head to the Lotus Salon for hair styling, manicures and pedicures overlooking their private lake. Take a refreshing dip in the atrium indoor pool or relax in the outdoor horizon-edge whirlpool with radiant-heat deck after an intense work out in the 3,500 square- foot Cardio Weight Studio. Or enjoy the therapeutic soaking pools, with eight foot hydromassage WaterWalls. There are a variety of exercise classes including aerobics, dance, Pilates-style core training, stretching and toning, kickboxing, Tai Chi, Qigong, Yoga Wall and more! Nutrition and lifestyle counseling, health and wellness classes and fitness training complement the world class facilities. The $42+ million is a full-service luxury destination spa, meaning guests can enjoy all the at the facility has to offer complimentary, and 3 complimentary gourmet healthy (and might I add, very delicious!) meals per day. Daily cooking demonstrations and chef-hosted events take place in the state-of-the-art Chef’s Kitchen. The exclusive property features 57 finely appointed guest-rooms and suites. The Lodge is staffed by expert personnel who will work with guests to customize programs to meet specific needs, with a schedule that is as active or relaxed as they desire. And they are all exceptional! One visit and you will be planning your next trip back. They even offer a Door to Door Relaxation Package. For Manhattan and Metro Area guests staying a minimum of two nights, they will be sure to allow you to enjoy your journey as they manage the drive for you. You will relax in one of their luxury vehicles, while extending the enjoyment of your time away. For special offers, visit here! Please view the full gallery here!